Rodgers Instruments has a new owner: What this means to the consumer. The Vandeweerd family from Holland acquired Rodgers Instruments from the Roland Corporation effective January 15, 2016. The Vandeweerd family has achieved worldwide success for decades with prominent organ brands Johannus, Makin, and Copeman Hart. Now with Rodgers Instruments as their newest family member, the Vandeweerds are the world’s market leader for digital and hybrid pipe organs. The family has a great love of the authentic pipe organ sound, and for decades has been dedicated to incorporating this sound into high-quality digital organs. Founded in 1958, the Rodgers Instruments company is one of the undisputed leaders in the American organ market, having produced complete pipe organs, hybrid pipe/digital organs, and prestigious digital organs. After Rodgers became a subsidiary of Roland in 1988, Rodgers’ position was further elevated with industry-leading technological advances from the engineering teams of Rodgers and Roland. Rodgers has maintained its status as a premium brand and the preferred choice as an organ company for nearly 60 years. The Vandeweerd representatives report that in addition to the renowned reputation of the Rodgers company and their organs, the successful and passionate network of Rodgers dealers was a key factor that drew them toward this acquisition. Current owners of Rodgers organs may be assured that future organ service they might need is protected according Rodgers product warranty. 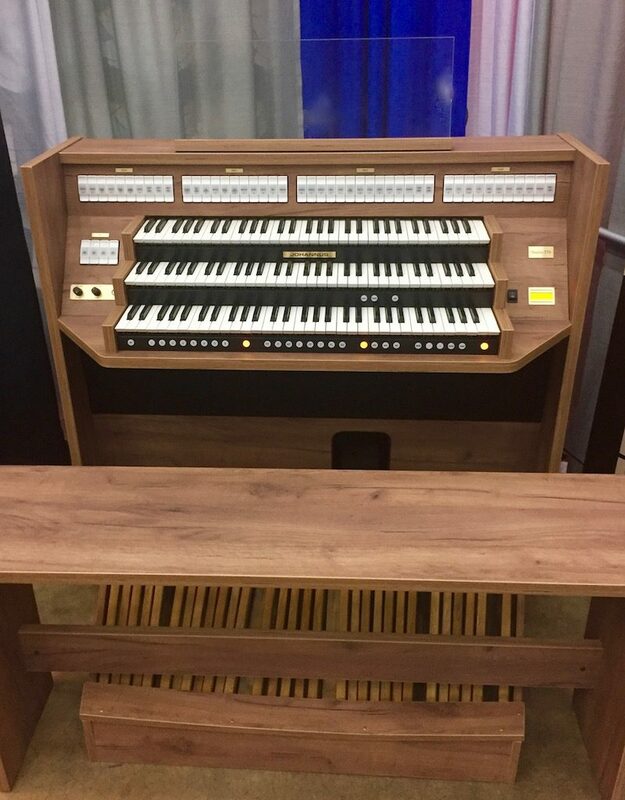 Rodgers Instruments has been, is, and will remain an American made organ, with their distinct and universal American classic sound, plus many features including immediately available European organ stop selections and premium orchestral voices. This statement was clearly expressed by Marco Vandeweerd in his recent comments to the dealers and the press. As further proof of their commitment, Rodgers’ new CEO, John Moesbergen (a Vandeweerd family member), will be onsite at Rodgers’ headquarters in the Portland, Oregon area where Rodgers organs has resided since 1958. The acquisition of Rodgers represents an important step for inspiration, innovation, and assurance. Thanks to the strength of shared knowledge and experience, a worldwide range of products and services and the common goal of producing high-quality organs for years to come, Rodgers’ American sound will continue to resonate in the future.